I finally had some time and motivation to jump online and do the continuation of the quest line in Silithus. Mithraic and my druid headed over to the sword sticking out of Azeroth’s poor heart and I was, once again, greatly impressed with the size of this weapon. It really is a very terrifying visage! All the corruption and red tendrils of hatred or whatever was spewing out. It felt good to be part of stopping it with all the other champions of Azeroth. I am not sure how we will survive this. Each of us having to fill our weapons with corruption, seems like a bad idea imho. Are we all going to turn into angry beasts bathing in the blood of the alliance? I admit to liking the effect it has on my claws – look how powerful I have become. I look invincible. ROAR!!!! I am a bear after all. My roar should cause corruption to spew forth so I can kill my enemies even faster. I guess technically that is what happens when your artifact power is going crazy and not stopping from increasing in power. I now have all the power!! I also completed this on my mage, I had thought I had done the first part of the questing already but hadn’t. So it was nice to complete on her. I might see if hubby wants to do this on the demon hunters as well. 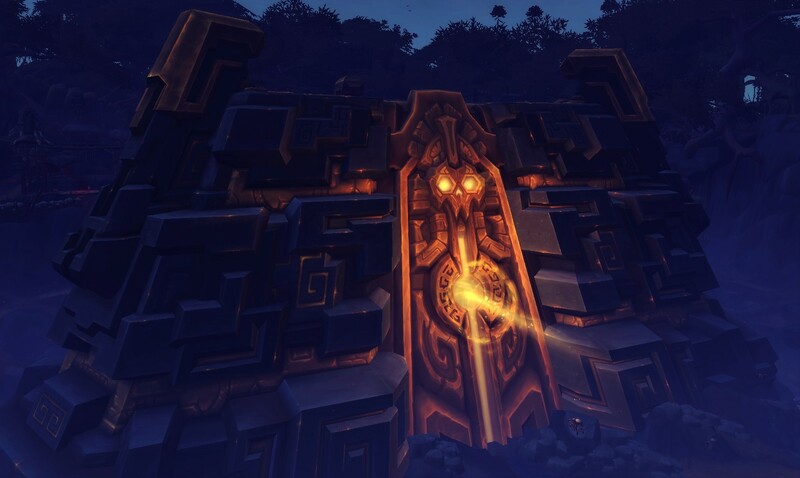 I don’t know what to do with myself now, we stopped the corruption and we just have to wait for BfA to start so we can see what happens and how the story begins. I am in the process of organising my annual leave from work, I am only going to take a week but I am going to make that week work. I would be wrapped if I can get both my druid and my mage levelled in that time. That is my plan anyway, similar to my bucket list of fail, I am not sure how I will go. I’ve finished leveling an alt, cleared out my bags, set up a bit of an AH routine for Inscription, and am now trying to finish up a few alt professions that I may try to use for cash in BFA if things work out. oh I haven’t even thought that far ahead, you are so well organised. I would love to just get my RL sorted so I can dedicate some time to my WoW life!!! It can’t affect anything worse than what the release date does 🙂 All I am focused on is getting my First Aid done before patch. I need to get it to 800!!! Previous PostPrevious Your absence is duly noted!